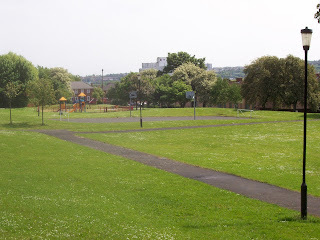 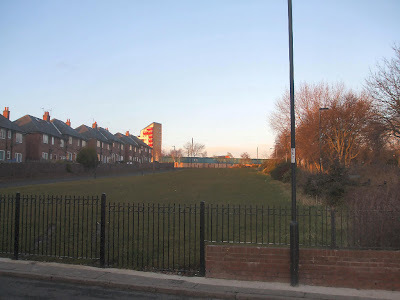 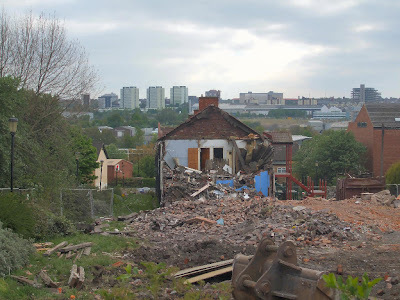 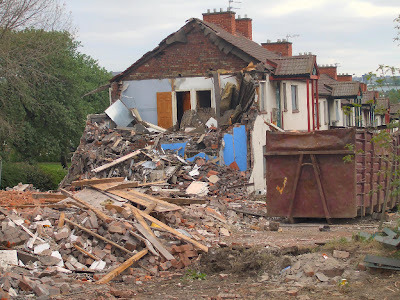 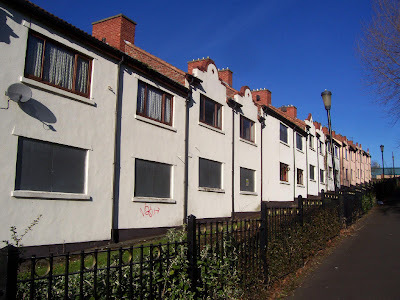 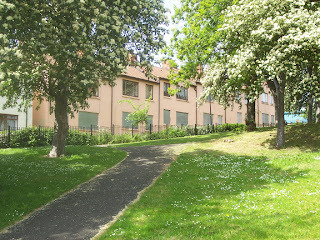 St Lawrence's Square was a small estate in the south west corner of Byker which has recently been demolished. 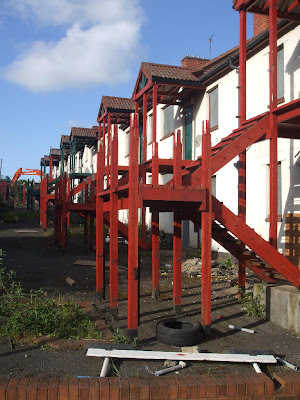 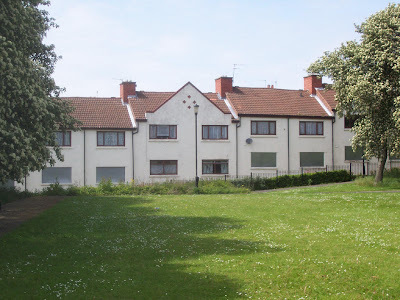 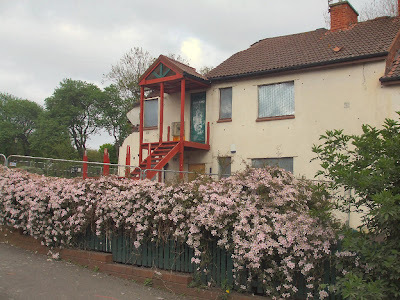 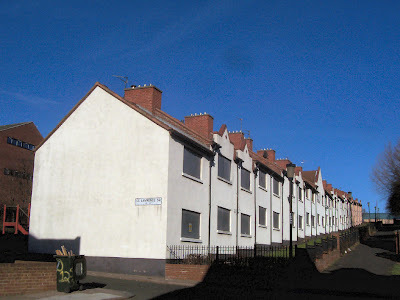 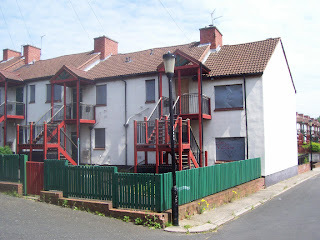 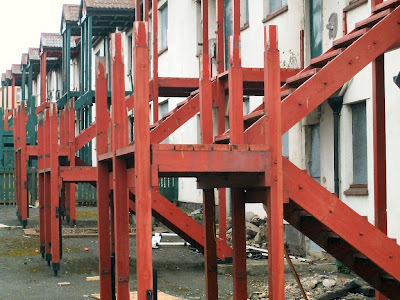 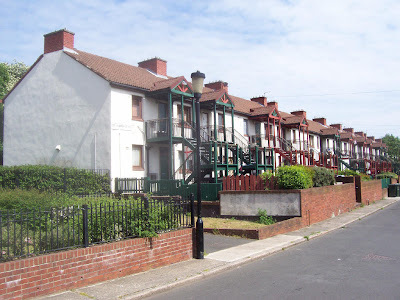 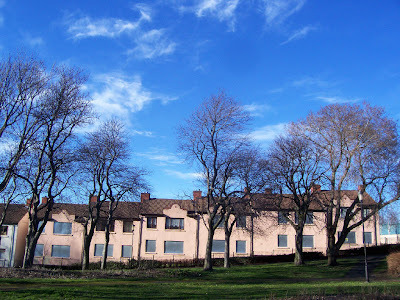 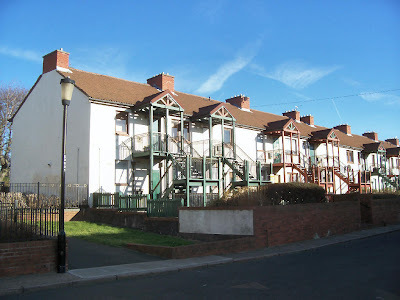 The first photos I took of the place were in the summer of 2006 and less than half the flats were occupied. 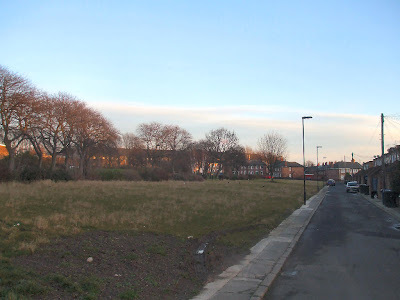 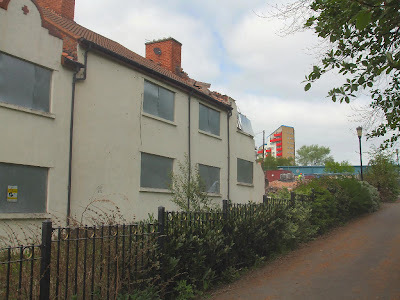 Plans for the land include details of 97 new homes, which will be a mix of 2 bedroom flats and 3/4/5 bedroom houses, for market sale and social housing for rent (in the main to accommodate residents who have relocated from St Lawrence and wish to return to the new scheme). 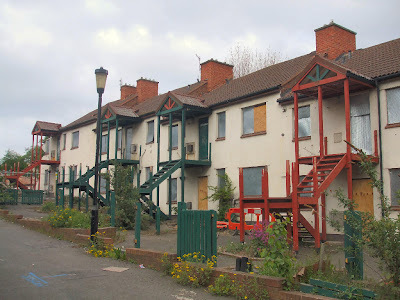 There will also be some affordable housing for sale. 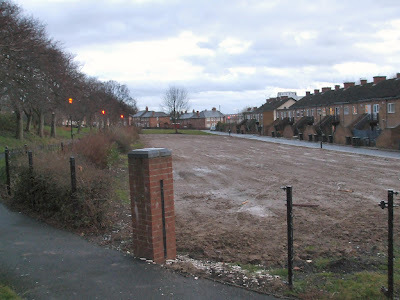 Development is expected to start on site in early 2009 to be complete in early 2011. 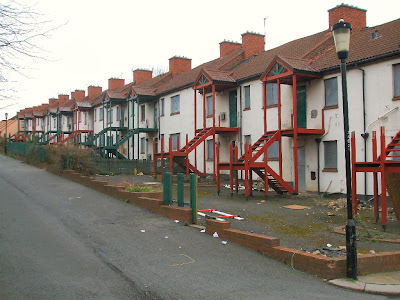 I think the authorities talk all sorts of schemes so they can knock whole estates down and nothing ever happens.